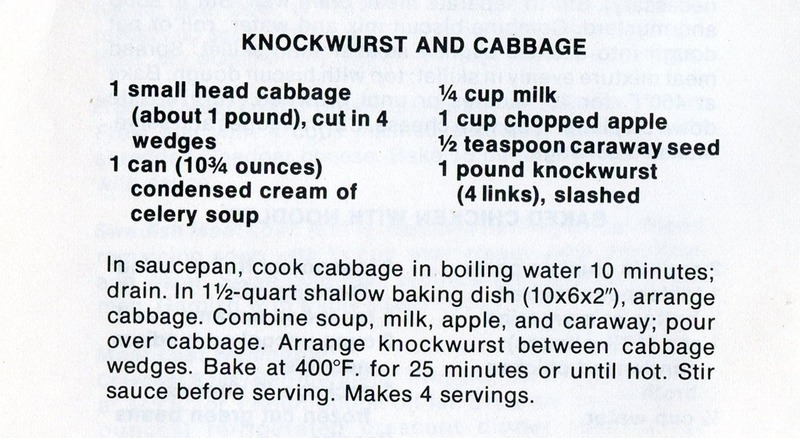 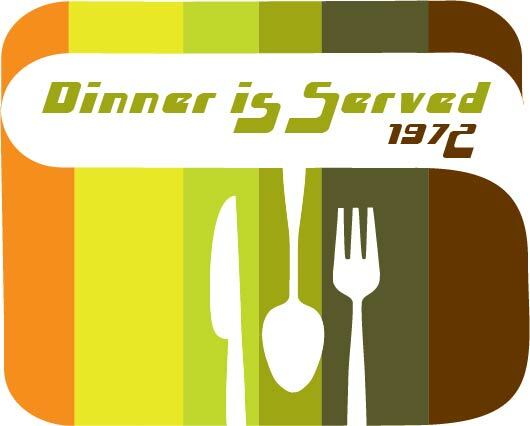 From Campbell’s Most-For-The-Money Main Dishes, 1975. 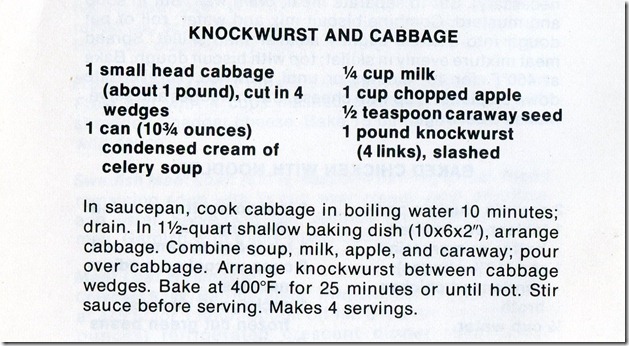 OK, this looks very much like the sauerkraut casserole that I made–the sausage, the cabbage, the caraway seed. 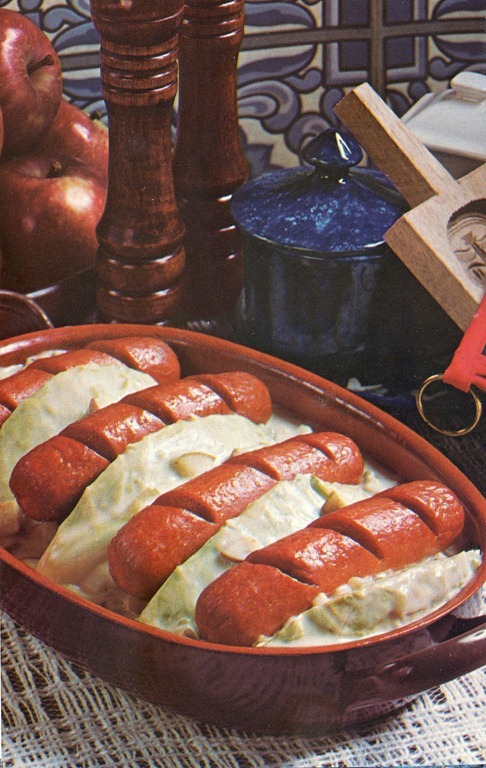 But WTF with the cream of celery soup?!? !